Spring has well and truly arrived in Christchurch. I work quite close to the Botanic Gardens, which is a great place for a leisurely stroll in my lunch break. The daffodils are just starting to come out, along with the fragrant daphne by the river. The magnolias are out as well, so I took some photos to use as inspiration in my next painting for my art class's upcoming exhibition. 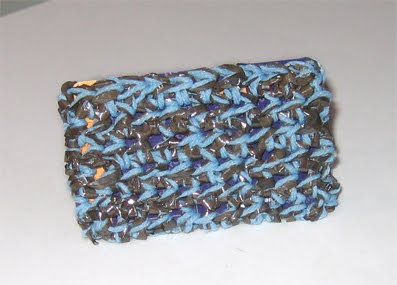 I also entered my recycled cassette card purse into the smarten your snapper competition. I road tested it with my metro card, the local equivalent, and it did a great job! It's also fantastic for keeping all those extra cards you seem to acquire, like loyalty and membership cards. It makes a great business card holder too!